Are you worried that your child isn’t eating enough? Is your child falling off the growth curve? Underweight children sometimes don’t consume enough food but there are foods that will help them gain weight. If your child doesn’t want to eat then you are probably feeling helpless. What’s within your power is to make sure your child is getting enough nutrients through the foods he already is eating, while also trying to introduce new foods to him at the same time. If this sounds hard, don’t worry, we’ve got you covered! These foods recommended in this article will help ward off constipation, too! If you need more high-fiber recipes check out this article. Have You Heard of Superfood Add-Ins? Superfood add-ins are foods you can easily add into the foods you are already making for a surge of added nutrition. These foods are high in healthy fats, calories, micronutrients, and minerals. These are the foods you want your kids to eat more of! You can add these Superfood add-ins to smoothies, snacks, breakfasts, lunches, dinners and desserts. 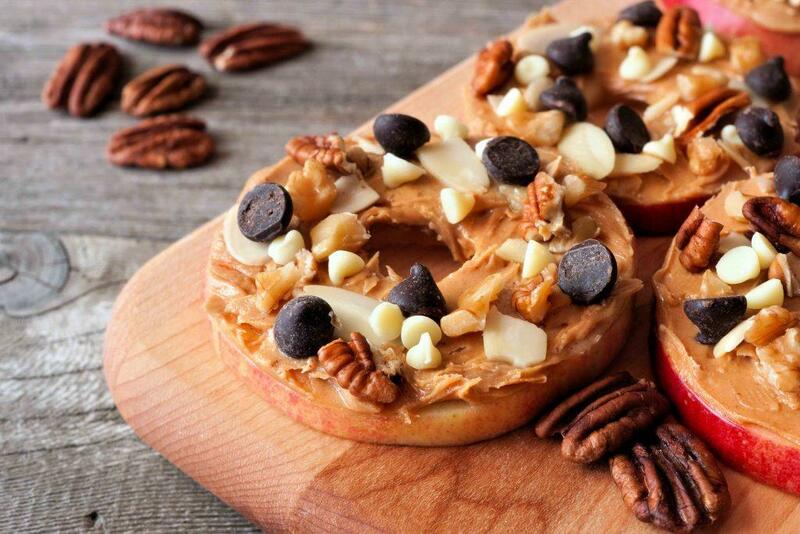 Yes, you can add them to almost anything! I add flaxseed to virtually everything I make. I add it to yogurts, muffins, meatloaf, mac and cheese and pancakes. You name it, I added in. Check out all the benefits of flaxseeds below. I add nutritional yeast to any type of food that has a cheesy flavor, like lasagna, pasta, casseroles, mac and cheese and popcorn. I add brewer’s yeast to sweets and bread when I’m baking. It’s a strong flavor, so try not to use too much. My twins munch on all kinds of nuts, seeds, sprouted seeds and grains, micro-greens, veggies, and fruits. I am not telling you this to brag. There was a time my kids only ate bread, crackers, and sweets. Getting my kids to eat healthier was more about me changing my habits than it was about them. I needed to re-think what I was serving them. I needed to become more present to the types of foods I was buying and why. Once I did that, I was able to drastically change what they were eating quickly. First, I try not to think of snack time as a treat time, but more as another chance to get my children to eat something nutritious. If your child isn’t used to eating like this, then it will take some time to turn the ship, but it can be done! Luckily, I figured this all out when my twins were about 18 months (very young) and I was able to get them used to this new way of eating. We have tons of articles and videos on how to get kids to be more open to eating more nutritiously, so be sure to check that out. All the advice is evidence-based. If you’re worried your child is an under-eater or not eating enough nutritious foods, then it’s incredibly important to make sure when your child does eat that his food choices are higher in nutrients. This way the volume of food your child is eating won’t matter much. Below you’ll find a number of healthy add-ins you can buy and start adding to your child’s food right away to help increase the amount of nutrition your child is eating on a weekly basis. Try not to worry too much about what your child eats on a daily basis. It can drive you batty. Instead, look at what your child is eating over the course of the week. This is an important one. Some kids are small and they are within a healthy weight and a healthy size for their body type. Some kids are naturally leaner. Some kids are not big eaters. These are normal. If your child is not a big eater than try to help your child eat as nutritiously as possible. Let’s make every calorie count. Some kids are pickier than others and won’t accept when you say, add zucchini to everything. Oh, the horror! It has something green in it! Most of these add-ins are almost undetectable to your child, so they should be able to pass the picky eating test. 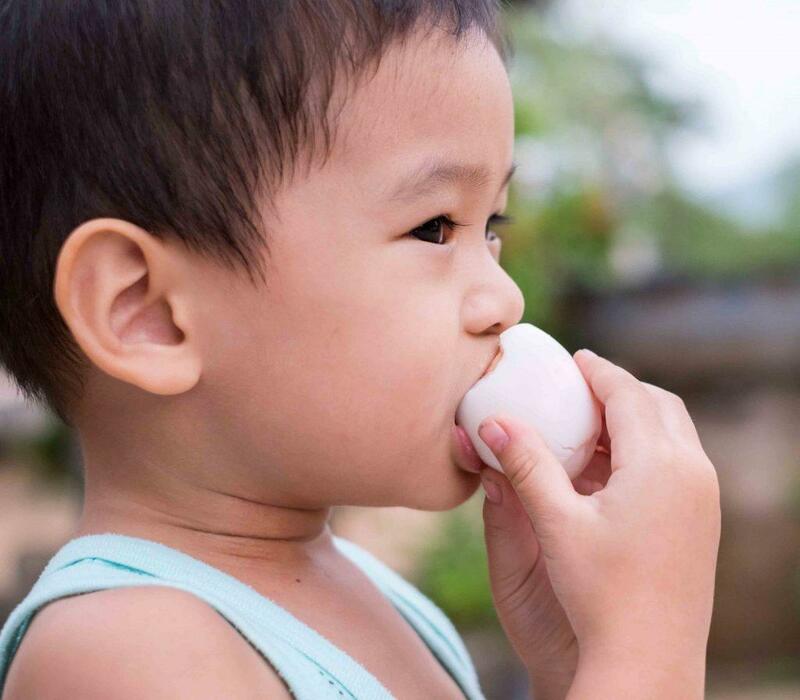 Check out our article series on how to help picky eaters become adventurous foodies. We have more control than we think when it comes to what our kids eat. We control what foods we buy and allow in our homes. Try to reduce or eliminate empty calories from your child’s diet. Don’t let your under-eater get filled up on foods like crackers, chips, cheese, and ribs. Yes, cheese is an empty calorie! A good rule of thumb is to avoid the center of the grocery store as it’s mostly plagued with foods high in empty calories and low in nutrients. Empty-calorie foods are those foods or beverages that are a poor source of micronutrients in relation to its energy value. Most obese people in the US suffer from malnutrition, even though they may be taking in 4,000 calories a day. This is happening to children too, even when they look perfectly healthy on the outside. This one is tough! The list includes: Goldfish Crackers, Veggie Sticks, packaged fruit snacks including most children’s cereals, which are all filled with empty calories and they’re nutritionally devoid. It’s ok if kids munch on these once in awhile, but not often. I said this one is a tough one! It’s not just about getting kids to eat less empty calories, but to also eat more of the foods that are healthier for him or her. 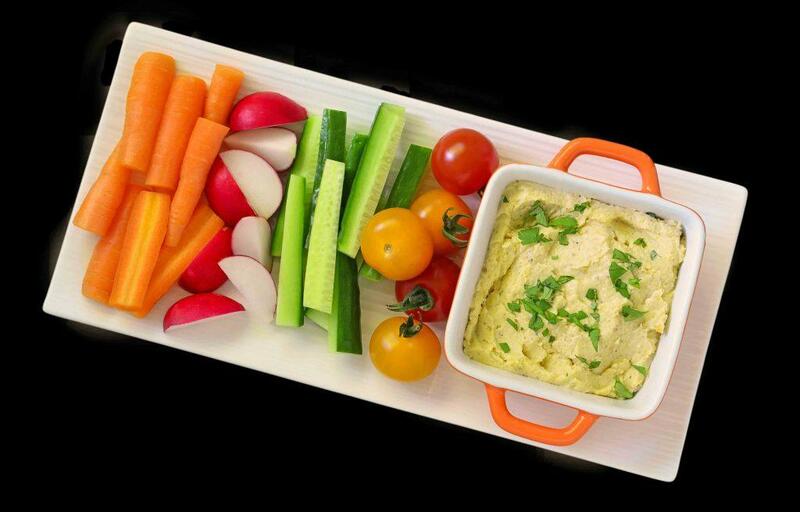 Read our tips on how to get kids to eat more veggies. Eek. This one can be challenging. Once your kids start drinking this stuff, it’s hard to get them to stop, but it can be done! You might be thinking my child is underweight so I’m not concerned about obesity. Kids have small bellies and they can fill up fast on milk, juice, sports drinks and sodas. This can cause some children to not eat as much as they can at a mealtime because they just are not hungry enough to eat a meal they don’t love. Then 30 minutes after the meal, like clockwork, your child is starving. And, he or she is never starving for green beans, but instead some pretzels. Read our article on the importance of having a child be hungry before a meal. Milk and juice can be filling. It’s important your child doesn’t drink any calorie dense drink before a meal. In our home, we offer water with our meals. In most small sizes juices, a child can take in more grams of sugar than is recommended for the entire day. Read more to learn how juice can contribute be making your child’s picky eating worse. This isn’t an easy task! Check out the article on how to get kids to eat more vegetables for a full list of tips. 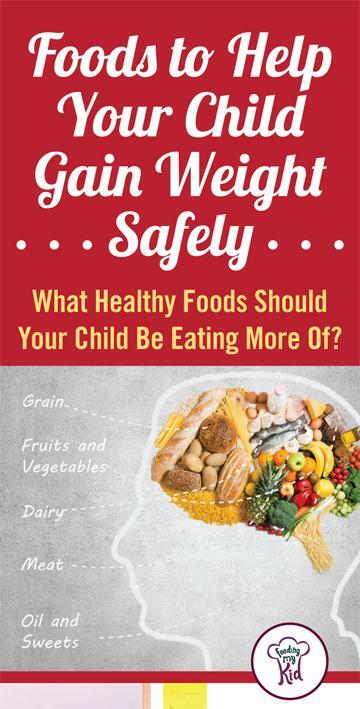 The tips mentioned in the article can be applied to getting your kids to eat more whole grains, fruit and fish. These types of foods are filled with micronutrients, minerals, healthy fats and healthy calories. 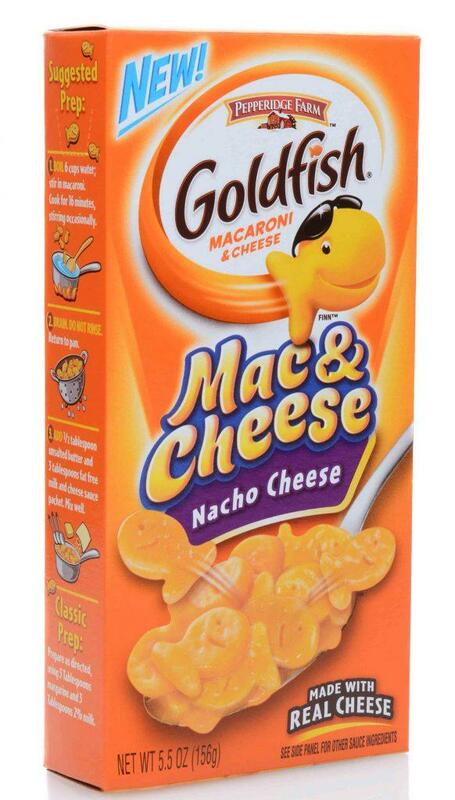 These should be the majority of the foods your child eats. If you think about it, just one tiny nut or seed has the potential to flourish into a beautiful gigantic tree. 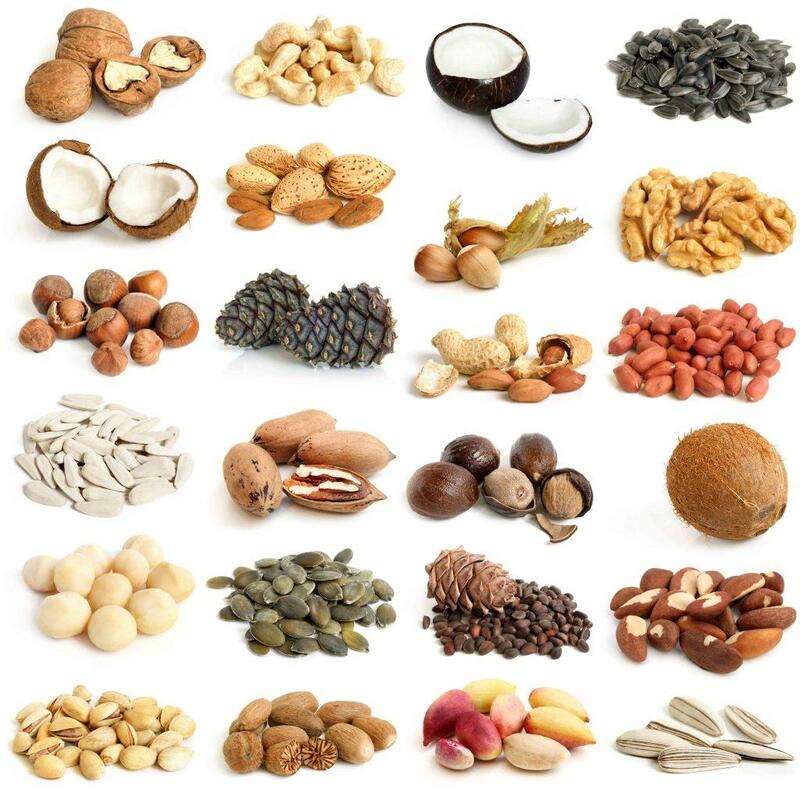 Now think about what that same nut or seed can do for your child’s body! Nuts are filled with healthy nutrients and are high in calories, which can improve the growth and development of your little one. Even the National Institute of Health has conveyed the importance of nut consumption and its effects on maintaining a healthy weight (1). Nuts or seeds make a great afternoon snack. If your child isn’t quite ready for eating a nut in whole form, try grinding them up into smaller pieces; try offering a nut or seed butter spread. My twins are young so I grind up almonds and other hard nuts for a few seconds and then sprinkle the nuts on a food they are already eating. For added nutrients try to find sprouted seeds and nuts. Here are just a few options to get started with! As early as 3000 BC, this powerful plant has been cultivated for its high content of omega-3 fatty acids, both soluble and insoluble fibers and lignans, which improve cardiovascular health. Flaxseeds are high in antioxidants and stand their ground among the importance of vegetables and fruits. Ground flaxseed is usually the way to go because it’s easier for the body to digest. If you don’t buy it grounded or milled then just use a coffee grinder (cleaned of course) and grind the seeds yourself. It’s super easy to add flaxseed to almost any meal, by either blending them into muffins, topping toast, or mixing in with oatmeal or pasta. The list is endless. I add flaxseed to pancakes, sprinkle on kid’s oatmeal, yogurt and that’s just for breakfast. I buy flaxseeds from Amazon. I’m sure they can be purchased at your local grocery store, too. Chi-chi-chi-chia! We’re just as excited about chia seeds as the children that grew “pets” out of them! Chia seeds are higher in antioxidants than any whole food, even blueberries! 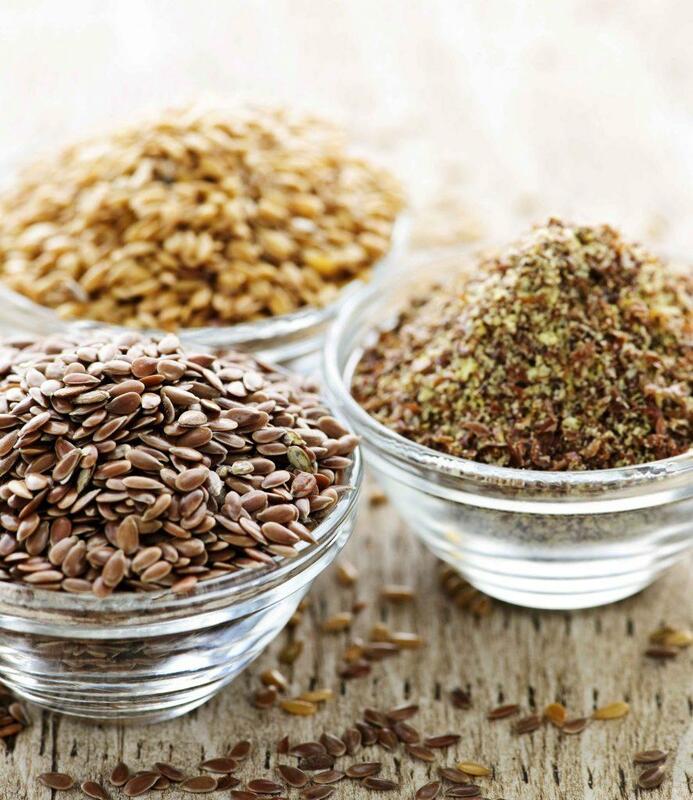 These little seeds have more protein than beef and more omega-3 than salmon (2). It is recommended to soak chia seeds in water or milk so the body can absorb its grand nutrients. This nutritional powerhouse can be added to almost anything! Top yogurt or cereal, or even bake into bread and muffins. Get more Chia Seed Recipes here. I’ve even used a 1:3 ratio of chia to water to substitute using an egg in a recipe! 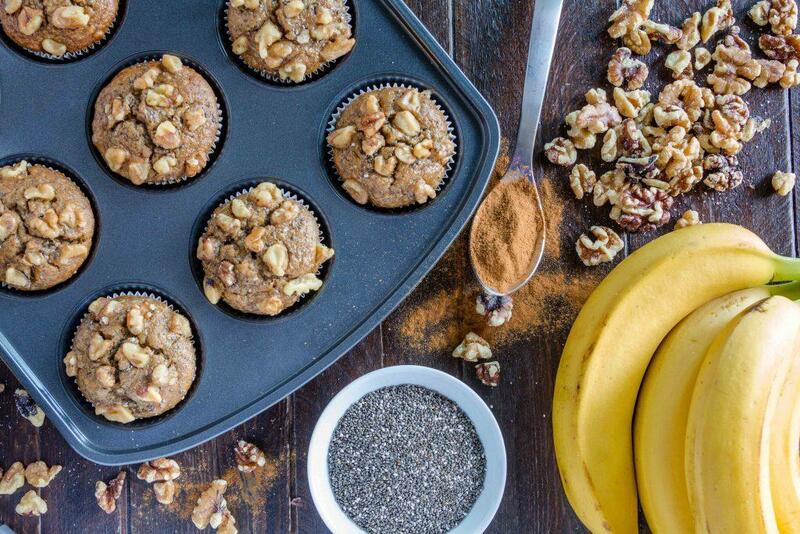 Add chia seeds to muffins, pancakes, oatmeal, casseroles and meatloaf. Hemp seeds are very high in essential fatty acids and can improve heart health and function. They are rich in fiber, vitamins and minerals and have a subtle nutty flavor that can make a great addition to cereals or on salads. China has been using hemp seeds in their food and as medicine for over 3,000 years (3)! I sprinkle hemp seeds on the same foods as flaxseeds — so virtually everything. 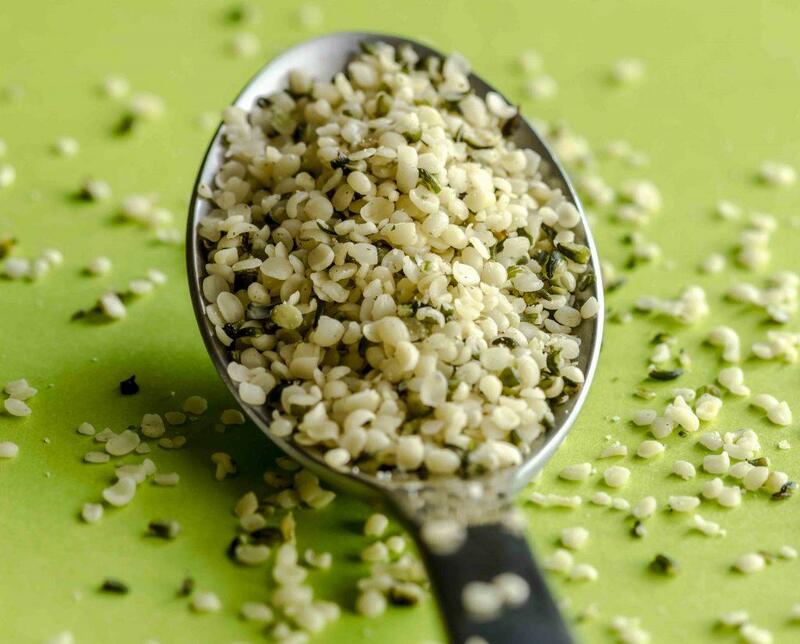 Hemp seeds are more savory and have green specks in them, so if your child is sensitive to having anything green in their food, you may need to ease into this one. Or add it to foods like meatloaf or meatballs, where the green will be harder to spot. Adored by vegans for it’s cheesy taste, nutritional yeast can be added to pasta bakes, homemade mac n’ cheese, spinach-artichoke dips, soups and even in meatballs! Just imagine the possibilities of adding nutritional yeast to any recipe that calls for a rich and creamy flavor. Not only will this superfood add a blast of cheesy essence to any dish, but you’ll be excited enough knowing the benefits of consuming this nutritional powerhouse. You can buy nutritional yeast right from our Amazon store or in your local Whole Foods! 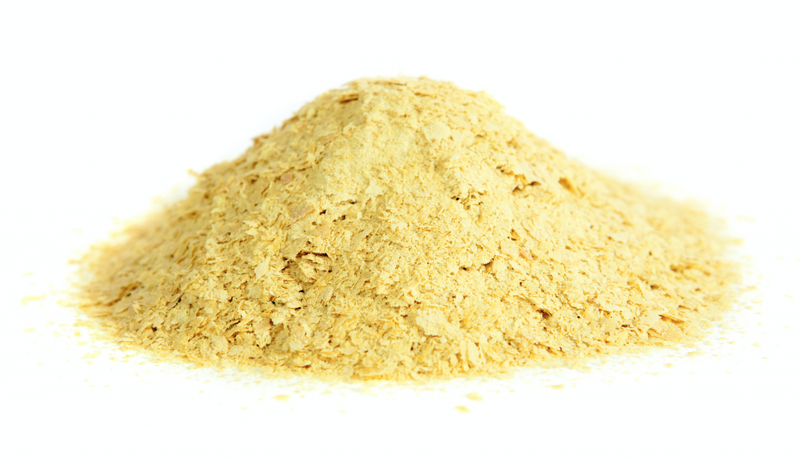 Similar to nutritional yeast, you can add brewer’s yeast into a variety of foods. Well known for it’s use in brewing beer, many people misconceive its nutritional worth. Lowering blood sugar levels and improving digestive health are some of it’s highly treasured traits. The mineral chromium in brewer’s yeast is often used as a base for many medicines and for those with diabetes! 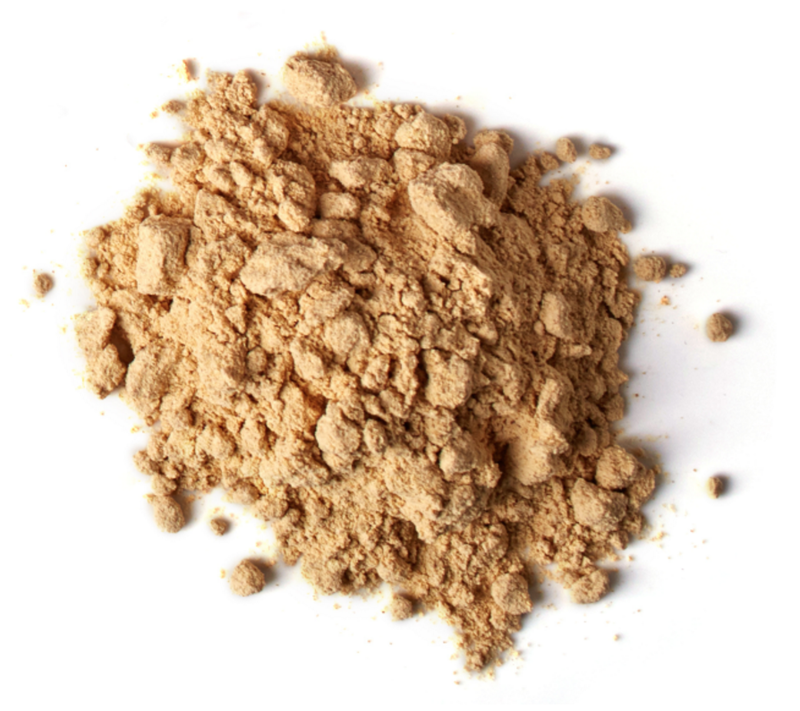 Light in texture, but a bit bold in taste, try adding brewer’s yeast to savory dishes. It’s a great way to add additional health benefits to meals that might be lacking essential vitamins and minerals. Our favorite ways to add brewer’s yeast are in soups and pasta bakes. I’ve even heard it’s delicious when sprinkled on popcorn! You can easily find brewer’s yeast in our Amazon store, too! 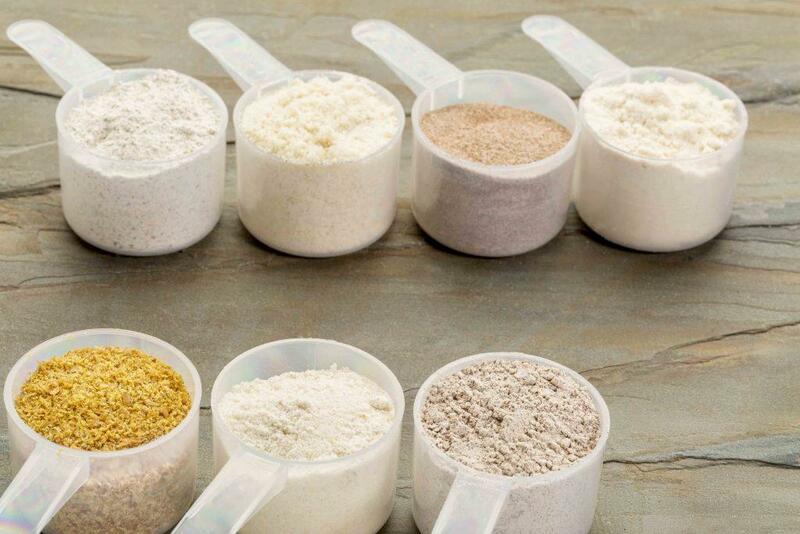 Replace All-Purpose Flour for Oatmeal Flour, Whole Wheat and Almond Flour. Make the most out of breaded chicken, fish and pork chops! Use whole wheat bread crumbs or oatmeal flour. There is a much healthier alternative to processed plain breadcrumbs that you can find at a store. To make oatmeal flour, simply grind old fashion rolled oats in a blender. Or just bread your food with whole wheat breadcrumbs. We’ve even tried chickpea flour and cooked quinoa (which is fantastic for easy homemade chicken nuggets). Traditional breadcrumbs are empty calories. Try replacing those empty calories with foods that are going to help spark energy and cognitive performance. Who would’ve thought you could get your kid to eat chickpeas, sweet potatoes or almond meal while eating their favorite dishes just by replacing the flour you use? And, as a general rule, try to stay away from all-purpose flour. It’s nutritionally devoid and can cause havoc in your child’s gut. Instead, buy tiger nut flour or amaranth flour right in our store and start breading with these healthier alternatives! Beans and legumes don’t get enough publicity in the health food world. 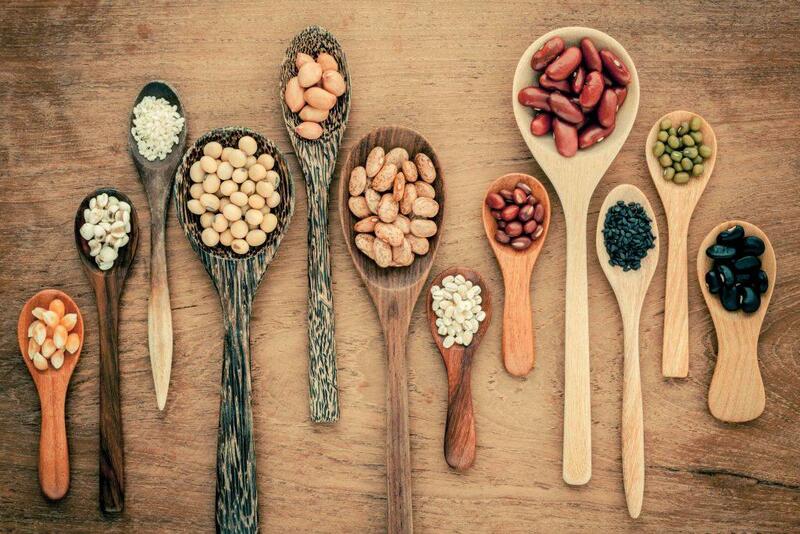 Packed with protein and filled with fiber, beans and legumes are a staple in healthy eating. They have been found to actually lower cholesterol and provide sustainable energy, unlike other meat-based sources of protein. Does your kid turn a cheek to eating beans? No problem! Right now, my twins don’t eat beans as far as they know, but they eat them all the time. There are companies that have turned beans into pasta, watch the Get Your Kids to Eat Beans! Using Pasta video to learn more! These brands also make pastas from all types of legumes and most of them are absolutely delicious. Others are good once covered in sauce. I’ve also made healthy brownies made with beans! For me, it doesn’t compare with the real thing, but my twins loved them. There are countless ways to sneak beans into your kid’s diet. In some instances, you can even offer beans or legumes in plain sight through various forms of preparation that your kid will be more likely to try! Check out our bean recipes for more ways to cook beans. TIP: It’s important you continue serving beans, too. If you always hide them then your child won’t know he is eating them and may not grow to like them on their own. Avocados are an excellent source of healthy fats and are high in nutrient-dense calories. 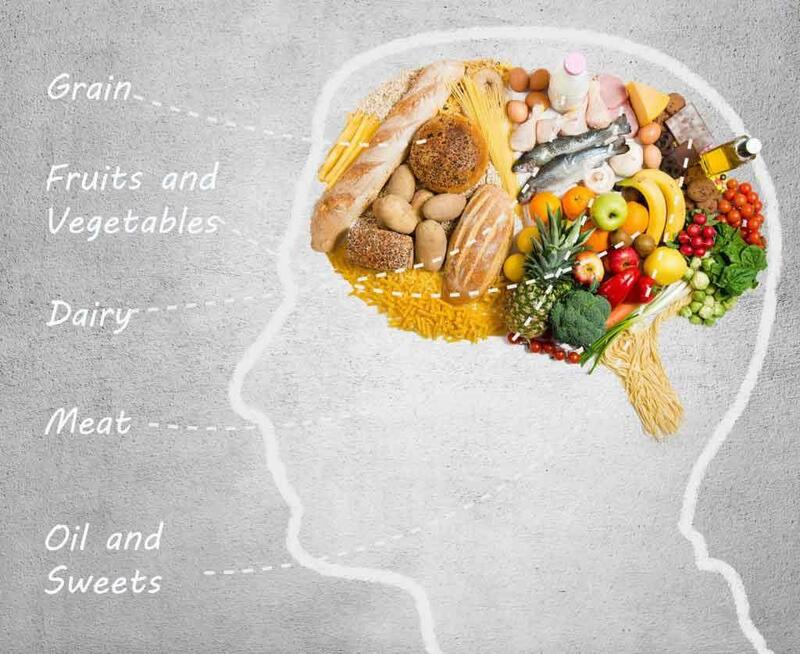 Our brains are actually made up of 60% fat, which undoubtedly shows the importance of consuming fat. New research shows that eating fat does not make us fat. One doctor pointed out if we eat green food, we will not become green and it’s the same way with healthy fats. Kids need even more healthy fats for their brain and nervous system. Load up on those avocados! I have a horrible time keeping avocados so I buy Wholly Guacamole from Costco and use that. It’s organic and it stays fresher longer. I often take the whole package of Wholly Guacamole and I add some micro-greens, spinach, pine nuts and walnuts and grind it up in my blender. I use that as my pesto sauce for bean noodles. It takes just a few minutes and it’s so nutritious! We all gobble it up. 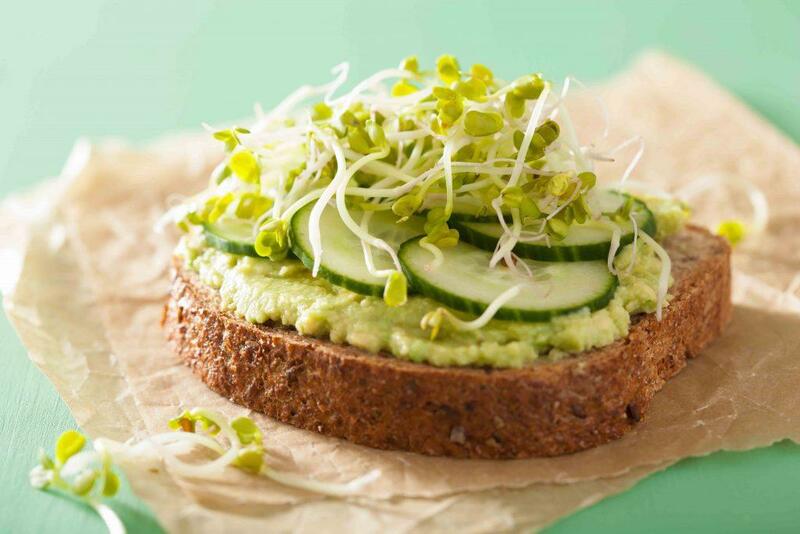 Or I add avocado, micro-greens or sprouts to some sprouted bread and serve it. My kids pull off the micro-greens and eat them individually calling them grass. We have fun with it. I was surprised by their willingness to eat them. I think it stems from us gardening together and they often pull the herbs off the plants and eat them. Watch the video for all the reasons on why you should garden with your kids. 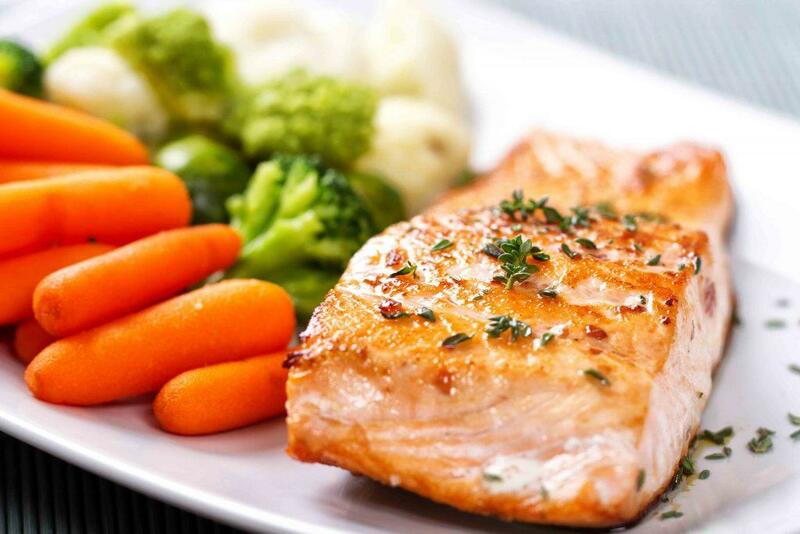 It’s no secret that salmon has benefits to your health. For starters, salmon has tons of Vitamin D in one serving. It also has been shown to improve cognitive development in infants and academic performance in children, as well as lessen ADHD symptoms (5). Try to eat fresh caught salmon as much as possible versus farmed raised. I know this one can get costly! If your child doesn’t eat fish, try pureeing it and adding it to meatballs, mac and cheese or other foods where the flavor can be hidden. Remember to also serve a little on the side of the dish to get your child used to seeing salmon in its natural state. I serve salmon spread for breakfast. It’s smoked so I try to limit how often we eat it, but my daughter absolutely loves it. We also eat lox, nova and sushi. We do our best to offer the same types of foods in a lot of different preparations, textures and flavors. Skip the Pam spray and vegetable oil, and opt for olive oil instead! Olive oil is a healthy dietary fat with over 50 years of research pertaining to its benefits to the human body. It has been shown to help maintain healthy cholesterol levels and also prevent cell destruction. It’s extremely high in antioxidants, which can benefit your skin and hair as well as your heart health. As mentioned, kids need healthy fats for brain and nervous system development. 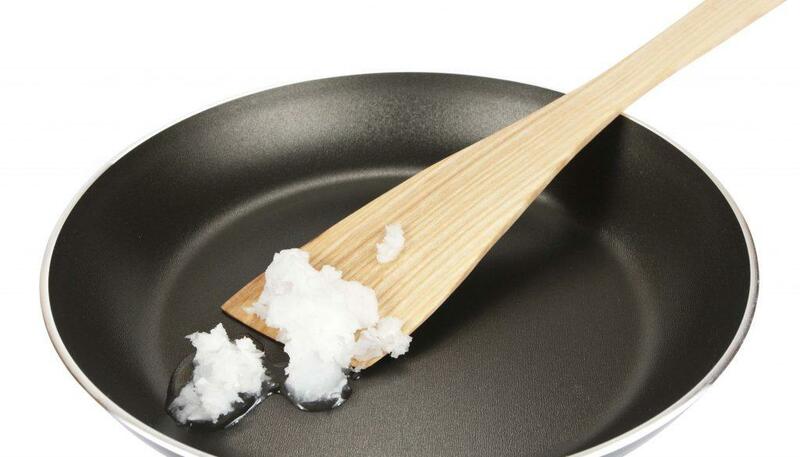 Coconut oil is recently famed for its use in a variety of ways. The media claims that coconut oil fixes everything, from being a replacement cooking oil to removing makeup and extending the life of eggs in your fridge. There are countless resources establishing its greatness. Recently the American Heart Association pushed back on the high levels of saturated fat in coconut oil, so use this one sparingly. We still use coconut oil in our home and it has a nice sweet flavor. Avocado oil, based on the recent news about coconut oil, I’ve been switching over to avocado oil. I use this to roast many of our vegetables. Roasting veggies can bring out the sweet flavor in them, which may help your child like them even more. And it sure beats eating steamed veggies all the time. Quinoa is a gluten-free grain that is sold in three different styles: white, red and black. If you can purchase sprouted quinoa, go for that one. Sprouted foods are even more nutritious. Quinoa has high levels of protein, fiber, iron, magnesium, and potassium. Quinoa is especially high in fiber, with over twice as much content than other grains (6). Get tons of vegetarian recipes using Quinoa. Or how to make pizza using quinoa instead of all-purpose flour and breads. Cottage Cheese is high in protein content. If you can, try to purchase cottage cheese with live cultures for added gut health. My daughter loves plain cottage cheese. Her twin isn’t a fan. I often add cottage cheese to my pancakes, muffins, baked potatoes and anything else I can think of. I want them to start their day with a high fiber, high protein breakfast to conquer their day of playing and asking questions. 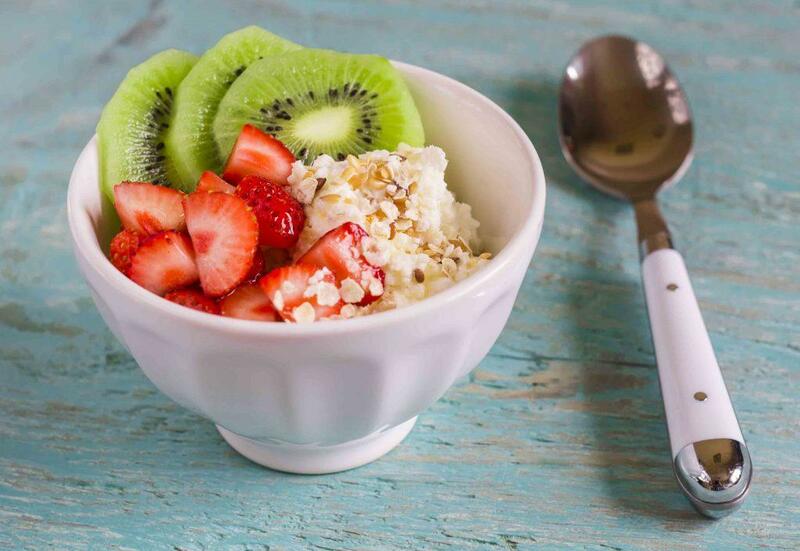 You can dress up the cottage cheese with fresh fruit and some honey. Check out our article to find out if honey is healthy or just another sugar to learn more about the health benefits of honey. Greek yogurt outweighs other dairy products by being higher in protein and lower in carbohydrates and sugars, so go for the plain variety. Greek yogurt is high in iodine which is important for thyroid performance and a healthy metabolism. The calcium content is another no-brainer, but its biggest winner is the probiotics offered in Greek yogurt. Probiotics help your child’s immune system fight off illnesses and maintain a healthy digestive system. New studies are coming out every day about the importance of keeping our gut health in check. Stay tuned for future articles and videos about this. Watch this video to find out how much sugar is added to kid’s yogurts. I was shocked! Eggs aren’t just stock-full of the nutrient choline, they’re also rich in protein, which is important for building strong muscles (3). Eggs are an easy food to introduce in a number of meals, they can be mixed in rice for a stir fry or mixed to be made into an omelet. Eggs are an amazing brain food and health food. Choline is an essential nutrient that helps develop the brain, with brain function and is useful for getting the mind to communicate with other parts of the body (5). Choline is found in eggs, Brussels sprouts and beans. New research is showing that whole milk may be better for all of us versus low-fat milk. It helps keep us fuller longer, which can help us reduce our need for empty calorie snacks. Milk is rich in calcium, which builds and fortifies strong bones. Milk is also rich in other nutrients that are helpful to any growing, active child. These include protein and carbs, as well as fats (3). All of these nutrients will make your kid stronger, which is why milk makes such a super food. If you have white bread in the house, dump it. While I grew up on white bread, it’s devoid of nutrients We don’t want to load our kids up on empty calories and foods devoid of nutrition when their little bodies need the nutrients the most. 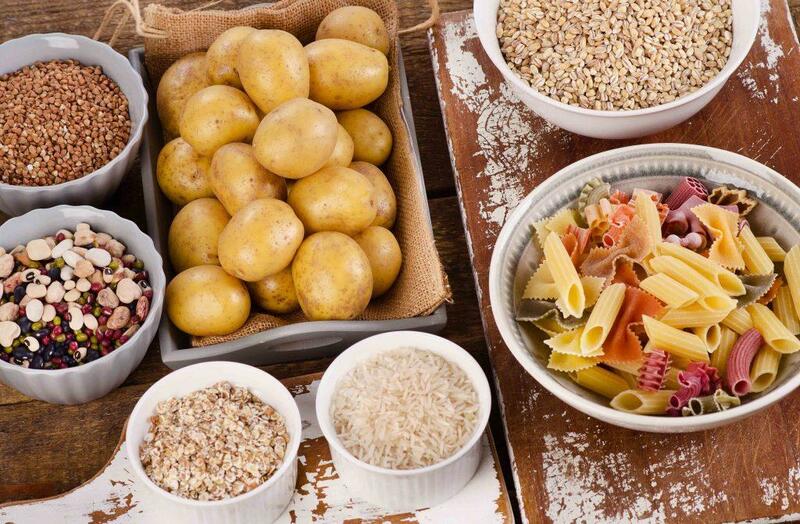 Complex carbs are high in fiber and are great at stabilizing and balancing the brain (5). Carbs break down into glucose, a sugar that the body can use for energy, but unlike simple carbs, which are troublesome because of how fast they can be broken down, throwing off energy levels and causing unhealthy weight gain; complex carbs break down slower and will keep your child’s body better regulated (5). 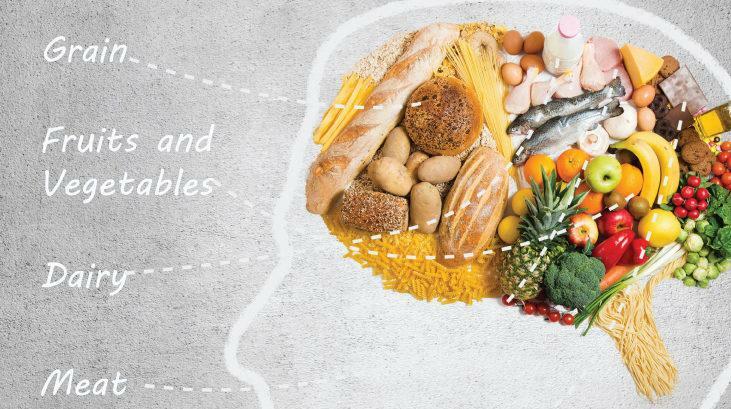 By making sure you feed your kid a wholesome meal rich in complex carbs you will help boost his mental powers and make him a thinking machine! We covered a lot in this article, but there are even more superfood add-ins you can be using to pump up the nutritional value of the food your child is already eating. Have you tried any of these ancient grains? Some are gluten-free and some are not. These grains are loaded with protein, fiber, vitamins, micronutrients, and minerals. While I prefer to give my kids whole foods, it’s not always possible. I’ve given my kids Orgain Chocolate Shakes, Vanilla or Strawberry before. Their milk chocolate flavor is delicious and they are full of protein and vegetables. Since my twins never get chocolate milk, they do demand these, so I rarely have them in the house. We eat well so I’m less inclined to stock up on nutritional shakes. These shakes have about 13 grams of sugar. I’m not a fan of that much sugar in a beverage. I hear Pediatricians recommend this option all the time. They tell parents to not worry too much about what their kids are eating and for them to drink a PediSure. It makes me think, what life-long habits are we teaching our kids? Can this attitude be one of the reasons why 30% of all children are overweight or obese and why 2 out of 3 adults are overweight? 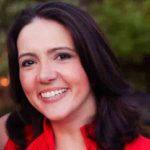 Check out our article about How Much do Pediatrician’s Know About Nutrition. 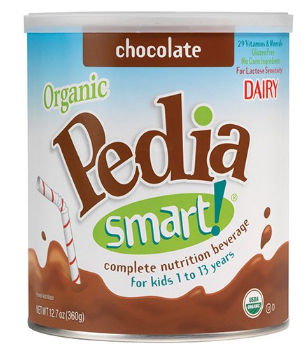 The first ingredient in PediaSmart is “SUGAR!! !” It has more sugar than anything else. It does have less sugar than the PediaSure drink by 5 grams of sugar, which is a start! 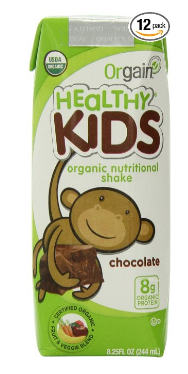 If your child is hooked on chocolate milk than these can be better alternatives to plain chocolate milk. There is no judgment here! 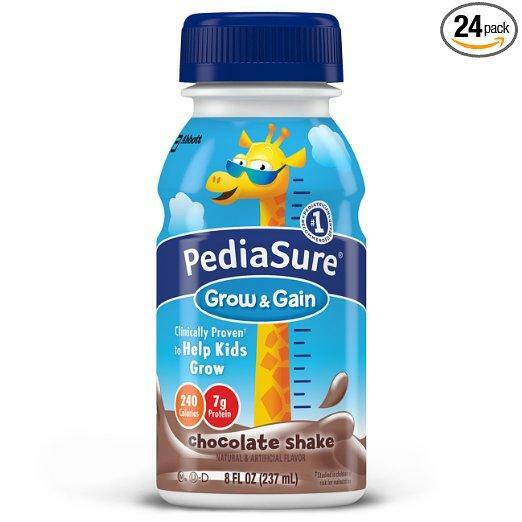 It’s more important than ever to get kids off chocolate milk and using these types of drinks can help transition your child off the flavored milk. So when it comes to helping your kid gain weight the healthy way, there are plenty of helpful options to choose from. So which of these add-ins works best for you? Let us know which method you prefer! Are you a parent of an underweight kid? Don't worry! 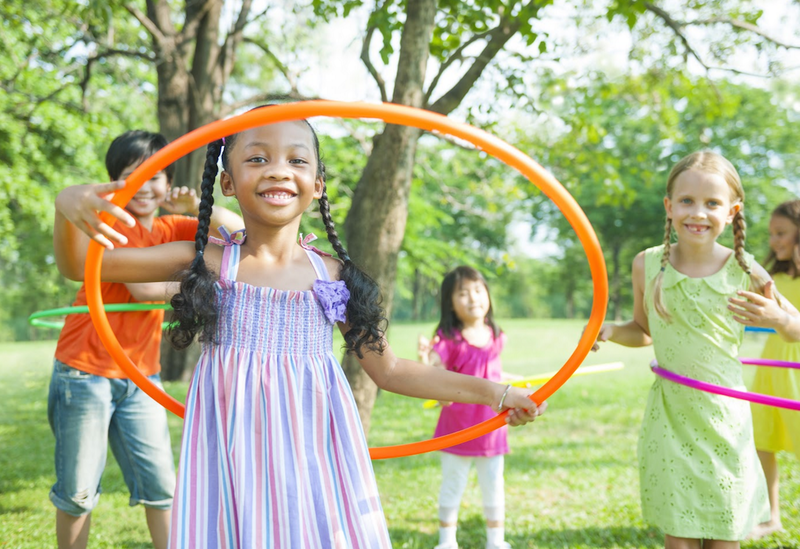 Underweight children can still gain weight. Find out how and what food to feed your kid.